LIFE IS GOOD. SHARE IT. ♥. LIFE IS GOOD. SHARE IT. ♥. 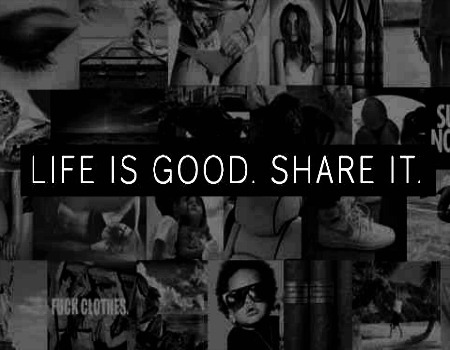 Wallpaper and background images in the fotografías hermosas club tagged: life is good. share it. ♥ beautiful pictures beautiful ♥ pictures. This fotografías hermosas fan art might contain animado, cómic, manga, historieta, anime, and dibujos animados.